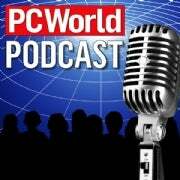 Join Robert Strohmeyer, Tim Moynihan, Lauren Barnard, Zack Stern and JR Raphael in the 27th edition of the PC World Podcast--which is, to say the least, chock full of goodness. This week, Zack fills us in on the 57 fun, novel, and unexpected things your tech can do--and yes, there are some things you probably haven't tried yet! JR brings his opinions to light about why so many people fall off the Twitter bandwagon shortly after signing up, and Robert expresses his tempered loyalty to Twitter. Lastly, Tim and Lauren discuss the gadget of the week--Blue's Eyeball Webcam Mic--and decide whether it's worth forking out $100 for.